Fort Erie Race Track just can't seem to catch a break. Trainer Nick Gonzalez announced that Midnight Aria will miss the Prince Of Wales Stakes. Taking a potential Triple Crown winner out of US Triple Crown run is pretty devastating to handle and overall interest, take one out of the Canadian Triple Crown run and it means that outside of local interest, it is just now just a run of the mill Stake Race. Midnight Aria's Queen's Plate victory was something close to a Cinderella Story. He was a good looking yearling, with very good breeding and wound up being purchased for $80,000 at Keeneland. However, late last year, he made is first lifetime start at Calder as a two year old for a claiming tag of half his yearling purchase price. His running line in the 5 and a half furlong event said he was outrun. He next started in January after a 2 month layoff. This time at Gulfstream Park going a route. It was a $35,000 claiming race and he ran for a $30,000 tag. He ran game and kept coming, running a very good third. 20 days later, he came back to the same identical maiden claiming race, this time though he ran for $35,000. He ran a huge race, troubled start and going four wide, he finished 2nd beaten a neck. Tucci Stables had claimed the horse that race. In hindsight, knowing how rare it is to find Canadian bred horses who like running two turns, let alone 3 year olds at the beginning of the year, this claim was a no-brainer. One thing, and probably a big thing, is why was he in for a tag for his first three races. There are three possible answers. 1. He looked like just a horse in training. 2. He wasn't coming around fast enough. This could be driven by a possible combination of finances, trainer's input, and/or owner's impatience. 3. Some physical problems that the horse may have developed since being purchased. Very few horses are 100% sound. But some need help to get to get to the races. Today's drug culture helps get them to the track, but it also takes its toll on horses as well. Midnight Lute, Midnight Aria's sire, was supposed to be route horse, but developed major breathing problems which were well documented at the time, and turned into a sprint champion. He could turn out to be one the finest route sires since Lasix was made legal. Anyway, just like with what really happened with George Zimmerman and Trayvon Martin, we will probably never know for sure why Midnight Aria was pretty much given away. But we can speculate. I'm not blaming Gonzalez at all for missing the Prince of Wales: “He's kind of worn out. The Queen's Plate took a lot out of him physically. It's just the strain and the stress, being training and racing for like a year. It was just going to be too much for him, and he wouldn't be 100 percent going in, so we're going to err on the side of caution." But I can't help but blame today's drug culture for draining horses. Going back in history, thoroughbreds ran heats (2 races in a day, usually long distances). Nowadays, a horse like Midnight Aria, who has had 8 route races in 6 months is considered over-raced needing a break. Again, this is all too common in horse racing today, and it is either one of two things, horses are more frail today and/or the amount of drugs (tested for and not tested for) horses receive just drain horses way too much. Where are the Sea Biscuits of today? The Horse Racing Industry Transition Panel recently released "Toward a Sustainable Future – A Draft Plan for Horse Racing in Ontario." Some of the concepts introduced in it are excellent, some good, but some miss the mark completely. Matching wagering commissions with public funds (well actually OLG funds). Great idea. Here is how I would tweak it (some of the following is exactly what is recommended). Thoroughbreds share the commissions (after expenses) of all wagers made on thoroughbred races, both on Ontario product and non Ontario product. This goes for Standardbreds as well. For example, net commissions that are made on Meadowlands bets end up in the harness racing pool. Quarter horse racing needs to be dealt with though, there is no way they can survive using just this formula, and that is why I think Los Alamitos needs to be designated as a quarter horse track and of course any other specific quarter horse meets. Any wagers on quarter horse races at tracks like Turf Paradise should also go into the quarter horse pot as well. The total commission monies should go to purses (most, if not all the matched funds will need to go towards track operations and marketing). The idea to divide it up amongst tracks based on percentage Ontario handle for each breed type is good, but based on total all source handle is even better. Large handle is contagious and can lead to exponential growth. Horseplayers like to bet on a superfecta that has a pool of $20,000 much more than they do a $5,000 pool or less. All source handle gives tracks incentive to market to the US and cut deals like the Meadowlands recently made. Racetracks should have incentive to attract live handle and keep simulcasts going year round and also open up the possibility of giving out betting rewards as well to live customers. That is why, racetracks should be allowed to receive all non Ontario racing handle commissions for purses on all bets made at their establishment (this will help Ajax as well). However, they also should be mandated to have any live Ontario track(s) on their TV monitors, just as HPITV needs to be mandated to show all live Ontario race cards that can be wagered on through a betting account. The marketing budget could include giving out free program past performances at live racetracks for all Ontario tracks that race on a particular day. The idea of being cognizant of schedules is a must and that is addressed in the draft, which means it is unlikely more than 3 Ontario tracks will run conflicting schedules. It would be well advised that only up to two Ontario cards should overlapping with each other at any time. Rebating and/or lower takeout should be encouraged. Rebates need to come out of the commission pools, but it is almost guaranteed that not only will the commissions be eventually regained, but because gamblers will have more bang for their buck, they will most likely devote more funds to the game. The report misses the mark badly on two fronts. One is suggesting HIPS should be directed more towards excellence. The other is the reports neglect when it comes to the absolute necessity of a B race thoroughbred track. The Panel wants to reward quality when it comes to Ontario breds. Quality Shmality. Horse racing in Ontario has had over 14 years of inflated purses. Not just on the Ontario sired side, but also when it came to open races. With slots for racing programs now at Aqueduct and Ohio, quality will drop off regardless. It isn't a bad thing either, because bettors don't give a hoot when it comes to 5 horse allowance races whether the purse is $40,000 or $90,000. Here is the thing. Horseplayers wager for different reasons. The biggest being, they like the action. The action is what triggers their fun or satisfaction. This is why takeout is important. The lower the takeout, the more fun/satisfaction the Horseplayer receives. Another big reason for playing, is the opportunity of a big score. This is why pool size matters, and why, magically it seems, races with the biggest field sizes attract the largest handles. 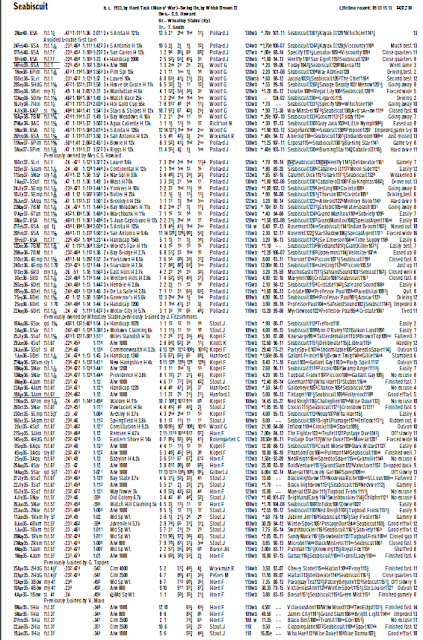 Sure, there is attraction to big races like the Queen's Plate, but those days and races are rare. Still, a 6 horse Queen's Plate would attract very little handle compared to a 12 horse race. 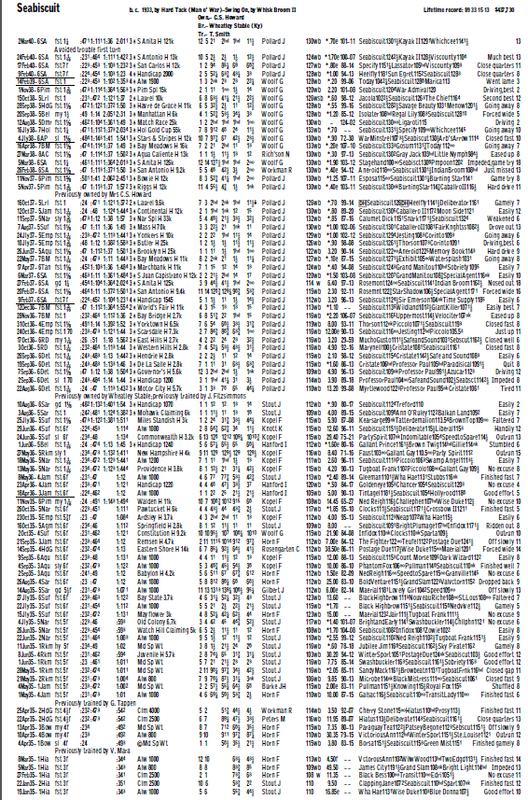 The point here is that an Ontario sired race with a big field will always outhandle a short field open allowance race. On Canada Day, at Woodbine, there was a $150,000 Stake race with a quality field of 7 betting interests, so much quality a new track record was set. There was also an Ontario sired filly maiden race with a purse of $50,000 that attracted 13 betting interests. Which race attracted more betting? Answer, the Ontario sired maiden race by over 40%. If you tell Ontario breeders that they need to breed only high caliber horses that have to compete head to head with Kentucky breds, they will simply stop breeding. When that happens, you lose direct employment, potential owners and new partnerships, and jobs that depend on horse racing. Field size matters a lot more than quality does. More quality won't grow thoroughbred racing in Ontario. Larger field size will, and taking away incentives for Ontario breeders by telling them to only breed champions, will reduce breeders, owners, and horses...which will lead to smaller field sizes in the long run, and less betting. I understand the intentions of the panel, but sometimes good intentions have bad consequences due to flawed insight and foresight. An example of this is when the decision was made to stop giving Ontario breds full purses if they were claimed in a race. The idea was that owners could wait to claim the one with potential instead of taking a shot and buying them as yearlings. Did this cause higher yearling prices? No. What it did was take some Ontario owners out of the game or reduce their stables, and it made Ontario breds less valuable to seek out. All things being equal, would you rather claim a Kentucky bred or Ontario bred if they are both going to run for the same rewards next time out? To increase the value of Ontario breds you need to increase the value of the lowest tier Ontario breds and go from there. That is why Ontario bred claiming races are a good idea. I notice Woodbine has started up with a condition that has the potential to increase Ontario bred thoroughbreds (20k claiming, NW3 or Ontario sired). I've written about increasing field size before too. If tracks are serious about increasing wagering, my idea of having 7 horse or less betting interests running for 70% of a scaled purse (increasing purse amounts by 15% for each additional betting interest that starts in a race), should be implemented. I recently did a blog piece on how to increase handle at Harness Racing Tracks. I had a Twitter conversation with Anthony MacDonald, who didn't really like my idea to penalize good horses with post positions, but I stand by my post. Harness racing needs to stop catering to horsemen so much if they want a chance to succeed. I think MacDonald is at least pointed in the right direction. - The cost of living in Greater Toronto causes thoroughbred ownership to be much higher than it is in a rural town (Day Pay is $80+ compared to $50-$60 at Fort Erie). - The backstretch at Woodbine doesn't have enough stalls to house B horses during the summer months at this time. - Thoroughbreds mostly need to train at a racetrack to remain competitive. - Not all horses take a liking to the polytrack. - Horses also go out of form in cycles or become non competitive against A horses. When this happens, an owner needs an out in the same jurisdiction and the option to pay lower day pay costs is a must. - Owners are like gamblers in that they like the action. And most Ontario owners don't want that action to take place where they can't possibly attend (ie the States). - If an owner's only options for a non competitive horse are to either sell for next to nothing, or ship out of province to race, owners and partnerships will dry up. - The overwhelming majority of horses running at Fort Erie are owned by Ontario residents. - If you end up with less owners, you end up with less horses. Eventually, pool size will shrink and betting will decrease in a big way. I'm kind of tired of 5 horse races where the top two or three outfits race against each other for purses that aren't close to being covered by handle. Fort Erie should be able to survive under the new format/split....barely, until new betting products possibly come out. Fort Erie should also be awarded gaming zone status once more, in case new products come out, like Instant Racing. I still don't understand how Fort Erie has Bingo Halls at a time when the OLG took away its gaming zone status. Ideally, Nordic gets bought out. But who would buy a losing business at an inflated price? The only value that piece of land has is as a racetrack. Take it away, and real estate in Fort Erie drops as horsemen sell their homes,and businesses that depend on horsemen when it comes to their bottom line (whether it is hay sellers or Tim Hortons Donut shops) will start going under as well. This will make the value of Fort Erie's racetrack land close to worth nada. Ideally, the government comes in and buys the track, and then gives it to the proposed OLR or Woodbine to manage. It saves the government giving Nordic payments each year for "rent." But many think that Fort Erie needs to shut down for a year or two so that Nordic finally realistically prices the track. That shutdown though could kill off breeding and kill jobs in the interim. Finally, a think out of the box idea. The Ontario government states that they are trying to help horse racing (after nearly destroying it), they also emphasize that the industry needs to attract more betting and more customers, especially those who wager on Ontario product. How about an Ontario Tax Credit. $500 for those who wager $10,000 or more on Ontario races, and $1,000 for those who wager $20,000 or more on Ontario races.